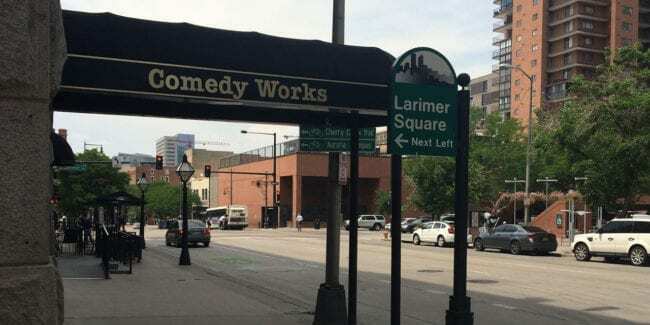 Since 1981, Comedy Works has been the Mile High City’s go to spot for big name comedy. Local and national comedians perform here throughout the week. There are two locations in Colorado, one in downtown Denver and the other in Greenwood Village at Landmark Plaza, a short drive from the Capital. Shows are held regularly Thursday through Saturday night all year long. Most nights feature two evening performances by the same comedy. You can buy tickets by phone or in person at the box office. Big name shows often sell out, so it’s best to reserve in advance. Other times it’s easy to show up at the venue and get tickets on the spot. You must be 21 years or older to attend, unless otherwise noted. Shows that are 18+ are available on Wednesday nights in both locations. There’s usually a two drink or food minimum at each show. Comedy Works Downtown – In the Downtown Comedy Works, there is both an upstairs bar for while you wait for the doors to open and another downstairs outside the theater itself. Food is also offered. Downtown is the more intimate theater of the two, with fewer seats and only one floor. 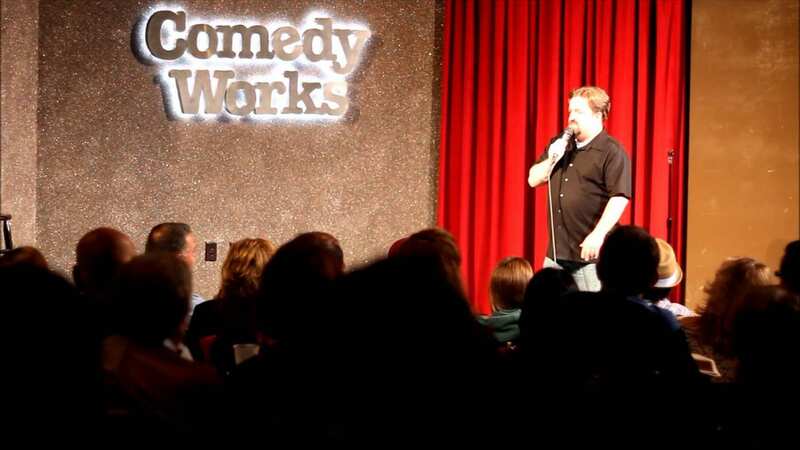 Comedy Works South – The Greenwood Village location also serves food and drink, with plenty of choices of restaurants to choose from for before or after a show. This location is actually the bigger of the two, offering balcony seating in a newer theater. Plus the South location boasts some very clean all family shows on occasion. Standup comic, Jason “Mutt” Rogers performs at Comedy Works South.